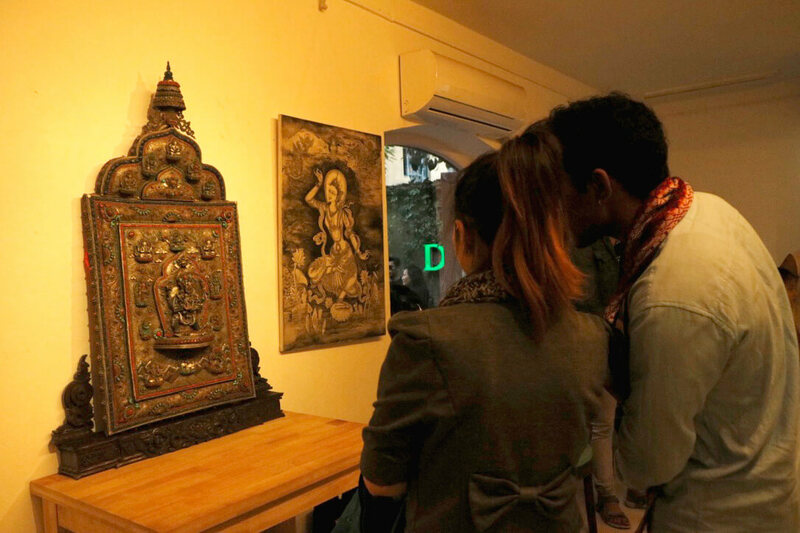 In the land of magnificent traditional artforms like Paubha and Thanka, some connoisseurs may not even know about Nepal’s burgeoning contemporary art scene. 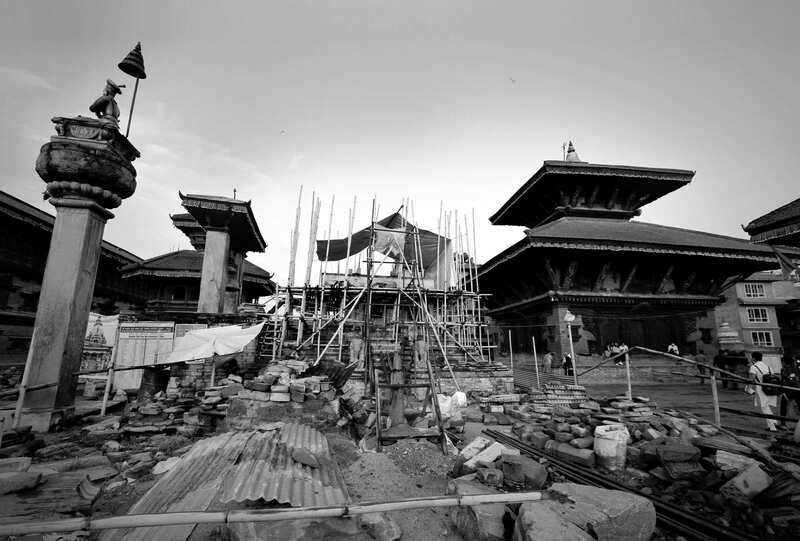 Similarly, the young crowd that finds creative outlets in the digital arts, manipulated photos or iconoclastic graphics, may be ignorant of Nepal’s rich legacy of highly developed traditional arts. 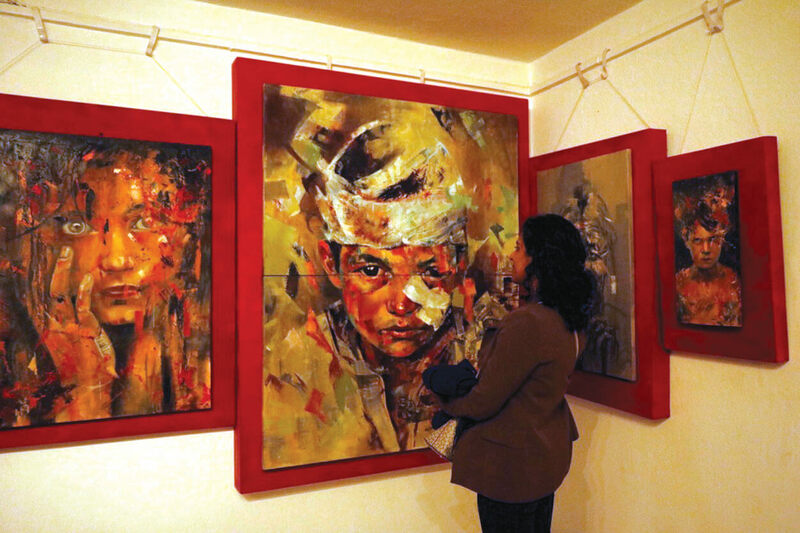 In an attempt to bridge this gap, the group Tilicho Kala, with the support of Old Durbar, has organised a four-day art exhibition, ‘Synthesis’. 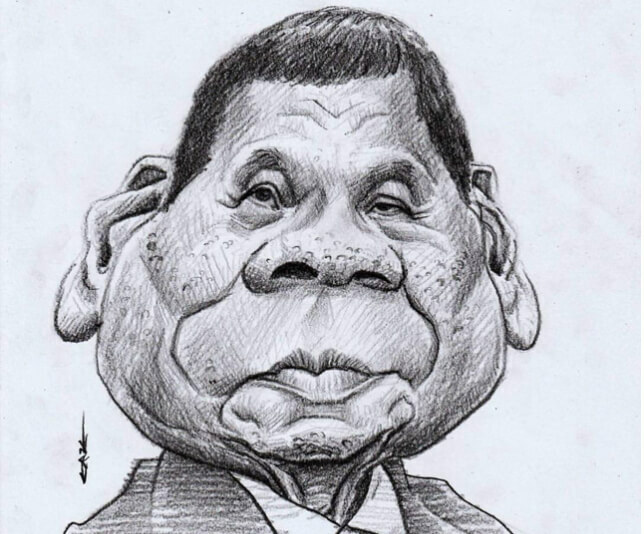 “The two styles of art seem to exist in separate bubbles, and each is stubbornly ignorant of the other. Through this exhibition we want to provide a platform which encourages dialogue and interaction necessary for the growth of our art culture,” says Ujen Norbu Gurung event organiser of Synthesis and founder of Tilicho Kala. 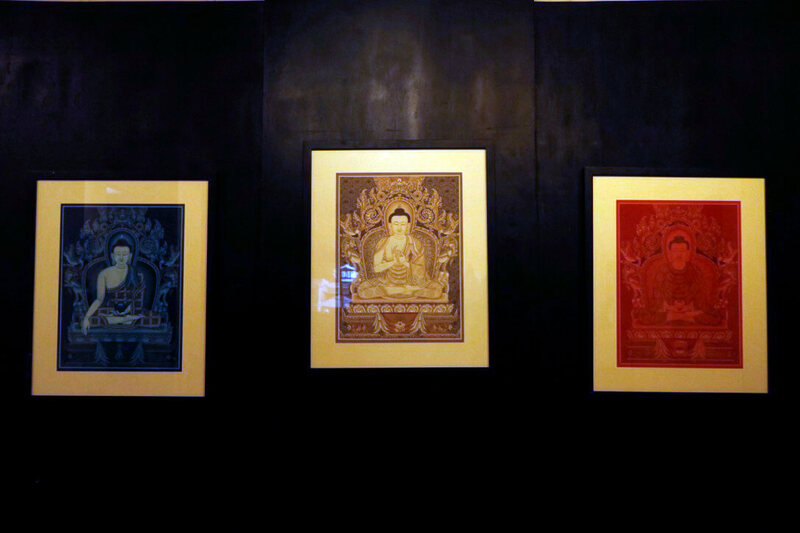 The exhibition at Siddhartha Art Gallery displays traditional Paubha paintings and sculptures on the ground floor and contemporary oil paintings and digital manipulation on the first floor. Delicately rendered deities by renowned Paubha painters Lok Chitrakar, Prem M Chitrakar, Samundra M S Shrestha, and Kichaa M Chitrakar are on display along with sculptures by Pratham R Bajracharya, Punya R Bajracharya, Sapta R Bajracharya, Amir Shakya and Pradip Shakya. 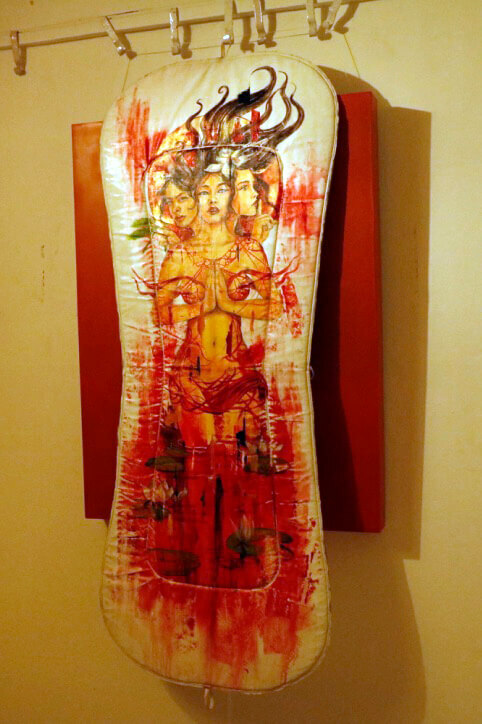 Also featured are works that experiment with different styles by contemporary artists Rashana Bajracharya, Erina Tamrakar and Michelle LL, and photographers Yanik Shrestha, Samir Maharjan and Aakash Pradhan. Over 300 art enthusiasts keenly discussed and reviewed the works on display at the opening ceremony at Chez Caroline on Wednesday, 2 May. Among the attendees were Chief Justice Deepak Raj Joshi and Justice Meera Khadka. Performances by the poetry group Word Warriors, and musical bands Unplugged Aawaj, and ‘The Night Band’ will close the exhibition on May 5. Synthesis Art Exhibition 2018 is the second edition of Tilicho Kala’s yearly effort to support the arts and provide more exposure to Nepali artists. The company was founded four years ago, aiming to curate and promote Nepali Art and provide a platform for young talent, and this year got support of Yeti Distillery, the producer of Old Durbar blended whisky. “The process of crafting a bottle of Old Durbar is an art of its own. Old Durbar is a Nepali product that has created a history here, so we want to do something that connects to Nepal’s identity. And the art of any nation identifies it, so it made sense for us to support Nepal’s art,” explained Vinaya Rajkarnikar, Brand Manager at Yeti Distillery.